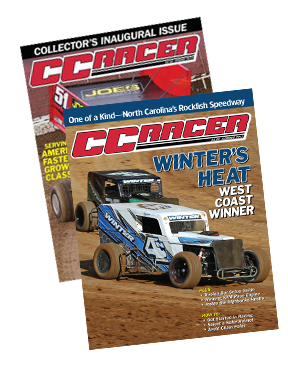 CC Racer is the only magazine dedicated to covering micro sprints, mini sprints, mod lites, dwarf cars, quarter midgets and US Legend Car racing. From the creators of the award-winning magazine, Speedway Illustrated, CC Racer shines a spotlight on this rapidly-growing auto racing category. Published quarterly, CC Racer helps racers go faster, race safer and get the most enjoyment out of their hobby. Subscribe today!